Spring Has Sprung. Time for Camping on Lake Lanier! Thankfully, we survived another brutal winter in Georgia. (Yes, winter is brutal-er elsewhere.) It’s time for camping on Lake Lanier! You can find opening and closing dates for the US Army Corps of Engineers (USACE) facilities on Lake Lanier by clicking here. Allow me to save you some effort. The seven campgrounds operated by the USACE will open for the 2019 season on Thursday, March 28th. Day-use parks (unless open all year) reopen on Sunday, March 31st. Beaches and Picnic Shelters reopen on March 31st, or soon afterward. The Corps of Engineers operates … 482 campsites at Lake Lanier, including 430 sites with water and electric hookups. Most sites are waterfront. All have a picnic table, fire ring, grill and lantern pole. 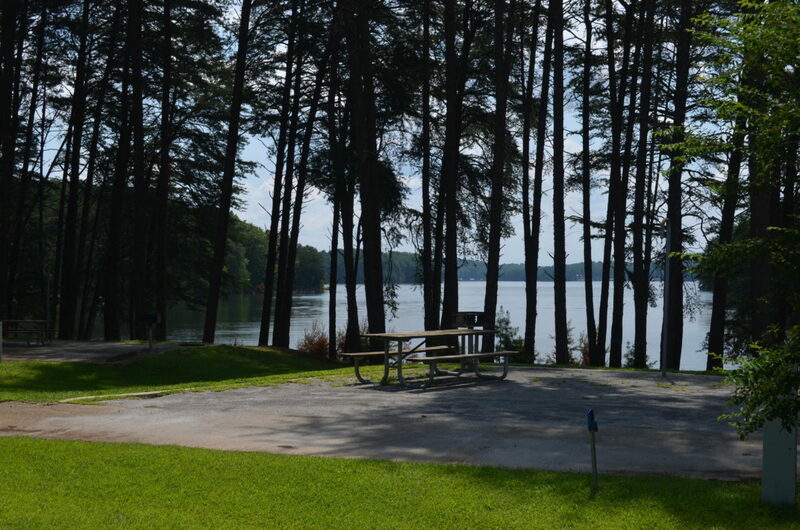 Each campground has its own personality, frequent visitors, gorgeous views and favorite campsites. They all have beaches, boat ramps and clean restrooms. Most have hot showers, playgrounds, accessible sites and entry stations where you can get answers to all your questions (except help with your homework). For information on specific campsites or to book reservations, click on the link below. As of March 21, 2019, these rates were accurate. They are subject to change. It’s not exactly “light reading” but you might want to look over the USACE Camping Rules & Regulations that are “in addition to Title 36 Rules and Regulations.” Yes, these rules even apply to people who don’t believe rules apply to them. Simply be a good neighbor and have a good time camping on Lake Lanier.